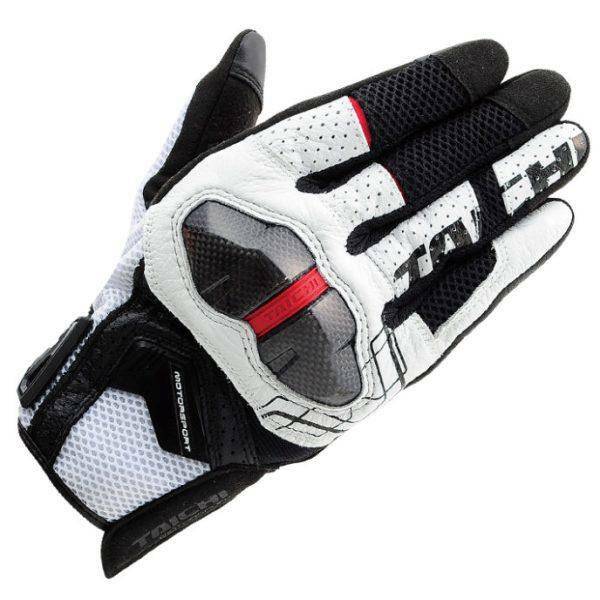 The RS Taichi Armed Mesh Glove RST427 is constructed of nylon mesh outer shell. This short cuff glove incorporates a 3D anatomical pattern on the palm with molded carbon hard knuckle protection, EVA foam padding on the side of the hand, and Poron XRD impact absorbing foam on the palm. The Armed Mesh Glove also features Velcro closure on the wrist for a custom fit, stretch panel on the finger for freedom of movement, anti-slip silicone print on the index finger for superior grip, and is smart phone compatible.